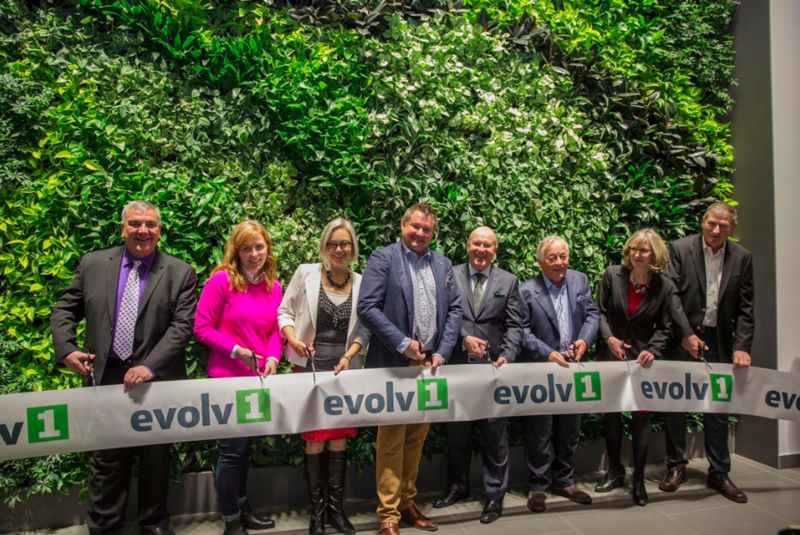 In Waterloo, evolv1—a 100,000 zero-carbon office space—officially opened its doors, becoming home to several tech firms including Borealis AI. Borealis AI is RBC’s research institute dedicating to machine learning, headed by Foteini Agrafioti. The Institute has a presence in Vancouver, Edmonton, Toronto, and Montreal. In Waterloo, Borealis AI is a partner and sponsor of the University of Waterloo’s Waterloo Artificial Intelligence Institute. The new Borealis AI lab will be led by Professor Pascal Poupart. Located in the David Johnston Research + Technology Park, evolv1 is home to companies like TextNow and EY. The evolvGREEN innovation space within the building will house startups, government officials, academic institutions, and industry partners. The office building includes 28 electric vehicle charging stations, solar wall technology, and a living wall with 4,500 individual plants. Developed by sustainable development firm Cora Group and designed to be energy net-positive, plans to open an evolv2 are underway.